Brazil’s worst drought since records began in 1930, provoked by months of below-average rainfall, is on the verge of turning into a major national disaster. Millions of people, particularly around South America’s largest city and the centre of the crisis, São Paulo, have already been affected by periodic outages – of both water and electricity – and experts are increasingly warning of havoc among residents and businesses within weeks, unless a drastic turnaround in rainfall levels or governmental measures occurs. Otherwise, major strategic reserves of water could run completely dry by the middle of the year. To all intents and purposes, weather conditions have been extraordinary for some time. 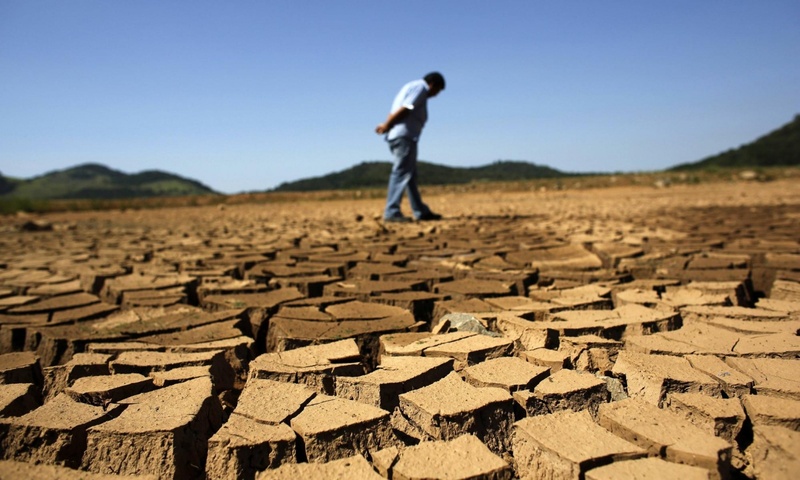 2014 was the driest year on record, with São Paulo and surrounding regions receiving barely a third of the normal amount of rainfall, while this January saw around a quarter of the average rainfall (despite it supposedly being the middle of the rainy season). Temperatures have also been above average, which has in itself led to a surge in demand for ever-scarcer drinking water and electricity to power air conditioning units – a problem given that Brazil depends on hydroelectricity for around 70% of its electricity. This combination of factors has led to some of the country’s most important reservoirs to recede to as little as 5% of their overall capacity, with water operators forced to turn to emergency reserves of ‘dead water’ pumped from the very bottom of reservoirs. This situation is hardly one that has crept up on Paulistas or local and federal authorities. 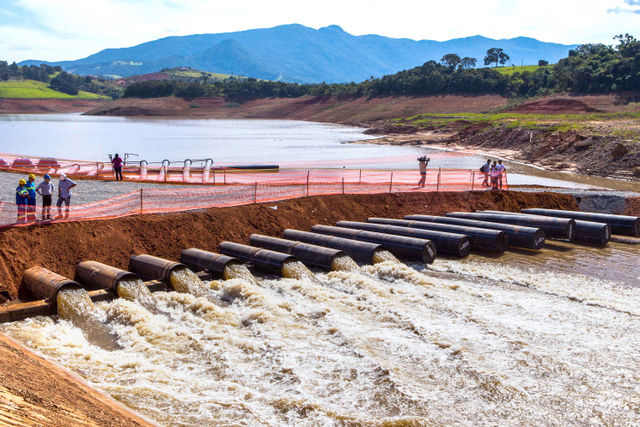 As far back as the end of 2013, there were warning signs that reduced rainfall was driving the Cantareira reservoir system – which supplies more than eight million people in the Greater São Paulo area with drinking water – to record-low levels. Experts repeatedly called for immediate action to be taken, with modest controlling measures such as limits on excessive consumption and efforts to reduce water wastage suggested as an effective means of staving off the worst even if rainfall continued to be stubbornly low. Further action to upgrade the region’s water infrastructure has been urged for even longer. Emergency ‘dead water’ is pumped from the bottom of Jacarei reservoir – part of the Cantareira system – as authorities try to extract every last drop from depleted water reserves. Photo courtesy of Vagner Campos via IPS. A huge amount is at stake if the reservoirs do finally run dry. Not only do millions of residents and businesses rely on the system for running water, but Brazil’s dependence on its hydroelectric dams – whose reservoir levels are now near rock-bottom – means that the drought could leave the regional economy barely able to function. 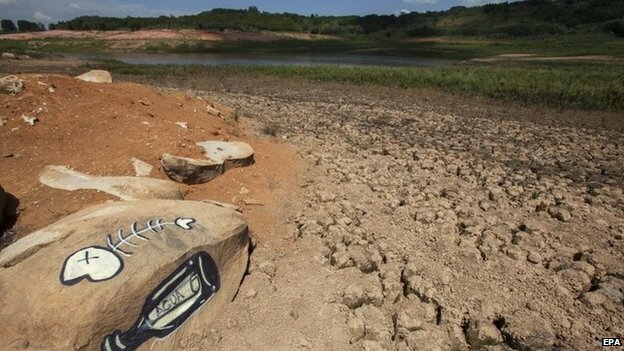 Major cities – including São Paulo and Rio de Janeiro – already experienced a black-out in January as hydroelectric dams were forced to temporarily close, while residents have long complained that water companies have been cutting off supplies at random by turning the system’s water pressure down. Now, authorities in São Paulo – the most populous and prosperous region in Brazil – are indicating that they may be forced to implement far more drastic water rationing, allowing just two days of water use each week. Brazil’s already-spluttering economy, until a few short years ago the darling of economists and envy of the developing world, could be plunged into a lengthy and devastating recession if communities continue to be forced into such painful adjustments. Even the world-famous carnaval celebrations have had to be cancelled in some districts, for fear that the increased demand for water would lead to total breakdown among local water systems. However, for a whole range of possible reasons, the authorities have been painfully slow to respond to the impending crisis and act to ensure that the worst consequences of a total dry-out would not materialise. It took until last month for the governor of São Paulo State and the local water utility Sabesp to even publicly admit that there was a water shortage and that households were indeed receiving less water due to lower water pressure. Even now, the Environment Secretary for Rio de Janeiro state, Andre Correa, is on the one hand admitting that the state is experiencing its worst water crisis in history, and on the other insisting that water rationing will not begin before July, by which point the situation could have descended to catastrophic depths. Cracked earth at what should be the bottom of the Jaguari dam reservoir. Photo courtesy of Reuters. However, some of those in positions of authority still don’t seem to be grasping the severity of the situation. Mario Moscatelli, a biologist who is also one of Brazil’s leading environmentalists, told Reuters that the authorities’ lack of urgency in responding to the crisis reflects the belief among large segments of Brazilian society that the country’s natural resources are immune to the danger of over-exploitation and depletion. “We have an energy minister who says that God is Brazilian, and will send us rain, and everything will be ok”, Moscatelli told Reuters in an interview. “That’s the kind of thing our authorities are telling the population, when the reality is that we are on the brink of a huge disaster”. Photo courtesy of EPA via the BBC.